Dr. Frankie Bashan is a renowned relationship coach and dating expert. 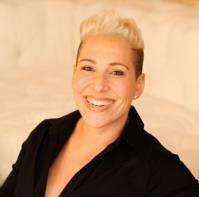 She is a licensed clinical psychologist with over a decade of experience working with couples and individuals, with specialized training in the field of trauma. Dr. Frankie is the CEO & Founder of LittleBlackBookMatchmaking (.com), which specializes in personalized matchmaking for singles. You can learn more about Dr. Frankie’s work at her website below and follow her on Instagram, Twitter and Facebook. Dr. Frankie Bashan has not shared any goals.